(out of Portland) will present an evening of music, song and dance associated with the festive season. The performance will include Christmas songs both old and new, all played with a Celtic twist, as well as selections from the band’s new album. The California-based group has toured internationally since 2000 as an acoustic band, releasing ten CDs. In 2013, Molly’s Revenge as a trio released an all-instrumental collection titled Trio, recorded at a remote windswept retreat in the redwoods of the Mendocino coast. Trio is a compelling collection of fierce and beautiful tunes encompassing Scottish pipe sets, driving Irish reels, jigs, polkas, slides, and hornpipes, French Canadian fiddle tunes, and even a set of American oldtime melodies featuring Highland pipes. Guest vocalist Christa Burch possesses a singular voice: warm, supple, expressive, intimate, and instantly recognizable. Part of a vibrant new generation of American folk singers, Christa deftly marries intuitive musicianship and storytelling through song. 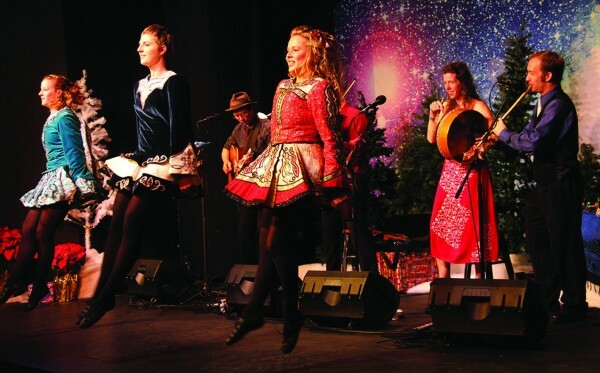 To balance the gentle beauty of Christa’s songs, The Murray Irish Dancers bring a percussive, joyful, and colorful exuberance to the stage. This 11th Annual Celtic Christmas Celebration will capture the traditional spirit of the season and warm the hearts of all.